New Orleans and Louisiana are known as the heartland of Voodoo in America. It is here that the practice of Voodoo collided with the emerging American nation and formed a special fusion that is completely unique. There is no other part of the United States that is so closely associated with the buzzing energy of this powerful practice. It continues to exist and flourish in the communities of this historic city. To this day, visitors flock to the cemeteries and districts closely associated with this belief system. The unique culture of New Orleans, along with its hot climate and a sense of antiquity, seeps into the everyday. The names of the Voodoo Queens still ring out on the streets of this very special city, and it doesn’t take much searching to unearth the living roots of the practice. The reputation of New Orleans and Louisiana as a place of Voodoo practice dates back to the days of the slave trade. In the 18th century, a steady flow of slaves from Haiti and from West Africa arrived in Louisiana on the Gulf Coast. The new arrivals, brought in to help with farming and cultivation, found themselves in a uniquely French-speaking part of what was to become the United States. What was important about Louisiana was that, rather than having their unique beliefs in the power of ancestors, charms and spiritual power beaten out of them quickly, these beliefs were instead permitted. While a slave that arrived further north might have found themselves very quickly and severely directed towards Christianity, in Louisiana, slaves were given a freer hand. This was because Louisiana was on the ‘wild fringe’ of the colonization of the modern-day United States. There wasn’t a huge amount of control and slaves often outnumbered white folk. This afforded the African traditions that arrived in the area a good chance of survival. A synthesis then developed between the French-speaking culture of the region, the African traditions, and Christianity. Part of what makes Louisiana’s Voodoo so unique is the prominent position that Voodoo Queens carved out. It also differs in regards to certain aspects to the practices, such as the cult of Le Grande Zombie, a special snake figure, which doesn't appear in any other tradition. The flourishing of New Orleans, as it spread its cultural wings over the 19th century, helped to bring the Voodoo traditions of Louisiana to broader recognition. As the Mardi Gras, or Shrove Tuesday, celebration gained recognition, the visitors who came to the city to enjoy that celebration soon began to notice that there was a different system of beliefs still operating in the shadows of the city. Part of the reason that Voodoo has survived for so long is that it shuns the kind of public image that Christian churches often exhibit. There are no ringing of bells or massive public parades associated with Voodoo. Instead, it exists under the surface, working alongside other beliefs and providing help in the form of Magick, charms and rituals to the population. It’s for that reason that it has lasted for centuries. The practices themselves can be viewed in essence as quite similar to Haitian Voudou. The asking of ancestors for help and guidance forms a considerable part of the practice, but so does the use of special charms and rituals. The fact that Voodoo in Louisiana could be seen as something that works alongside, or as a local reflection of Christianity, helped it to stay vibrant for so long in the region. Because of the need for secrecy, the Voodoo practice integrated Catholic figures, including the saints to represent the Spirits in a form that would keep those that practiced such things safe from persecution. Often, if people are carrying out ceremonies and rites, the French language will be employed, even if the person involved speaks English as their first language. This underlines the link with the past and the original French nature of the city of New Orleans. Voodoo practices still make use of the fetish and of the ceremonial altar. While movies like the famous ‘White Zombie’ of the 1930s indicated that Voodoo in this part of the world involved a degree of mind-control, this aspect of the belief system is blown far out of the proportion. In many respects, communication with those who have passed on and petitioning their help with everyday issues and problems forms the majority of Voodoo rituals. The familial aspects of the tradition always tend to shine through. In many respects ‘Voodoo Chic’, the style and the attitude of the tradition, has been passed on to mainstream culture. It forms part of the attractive and colourful image of the Crescent City today, and it often makes an appearance in modern culture, including popular TV shows such as American Horror Story and True Detective. These TV depictions are invariably sensational and unrealistic, but they nevertheless play on the popularity of the art. As stated above, the Voodoo Queens of New Orleans played a prominent role in the growth of Voodoo along the lower banks of the Mississippi. Primarily African-American, these ladies often wielded great power and commanded much respect. The Voodoo system had grown to such a level in the 19th century that people had to take on roles to organize it. These women helped to foster the community level approach of Voodoo in Louisiana. It was by the people, and for the people. 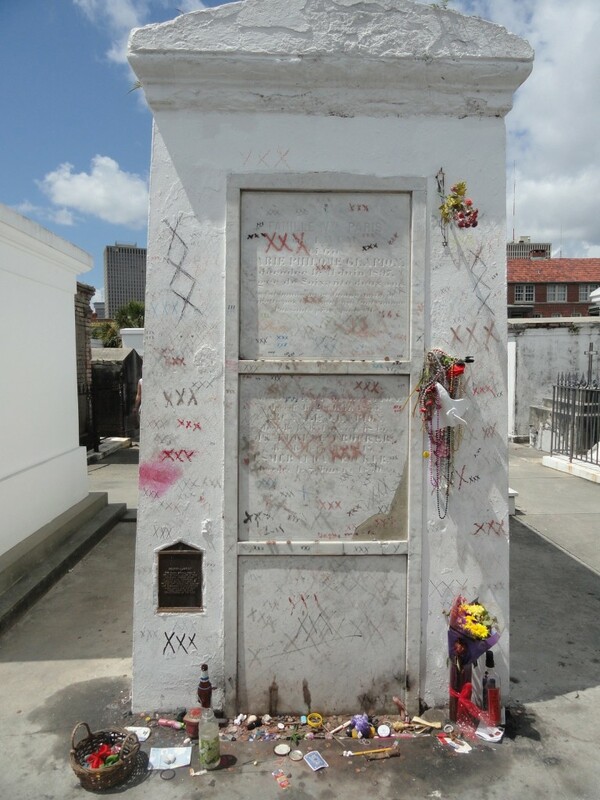 The most famous of these was Marie Laveau. She made a great name for herself, and is today viewed as the equivalent of a patron saint of Voodoo in the New Orleans area. She was especially active in the 1830s, presiding over events and working amongst the community as a healer and charm-maker. Today, she is best known for the shrine that her grave has become. One only needs to visit it in the famous Saint Louis graveyard to see how she has not faded from the memory of those who respect Voodoo in New Orleans. Built in the over-ground Greek Revival style, her tomb is surrounded by numerous petitions, gifts and offerings that are added on a daily basis by those who seek her help. The ornate grave site is covered in numerous ‘x’s, which were originally added by people who could not sign their own names. The ‘x’ became a kind of understood petition in itself, and for that reason it is one of the identifying symbols of Voodoo in New Orleans today. One of the best known visual aspects of Voodoo in New Orleans remains the gris-gris. These are ornaments that have been crafted and blessed, imbued with Magick and kept as charms. They often fulfill requirements related to Love and Luck. The practice of the Le Grande Zombie ritual often focuses on empowering the gris-gris ornaments. 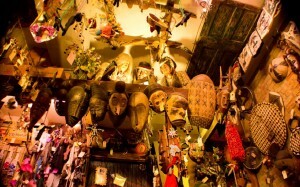 It’s for that reason that the charms of the Louisianan Voodoo tradition are highly sought after. They have a potent power that is respected the world over. The Magick of this tradition is especially strong, blending several sources of power together into one impressive mix. As the Coven’s elder expert in the field, I have spent a considerable amount of time in New Orleans. My time amongst the modern wise-men and priestesses of the art has considerably informed and shaped my own practice of Voodoo Spells. 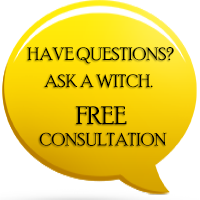 For Love, Luck and help with almost any problem in life, there can be a great solution waiting for you within the Voodoo Arts. Have you ever visited New Orleans? Have you ever felt a connection with the tradition of Voodoo, or known someone who has practiced it? Let us know via a comment below, or feel free to leave a comment on our Facebook Page. 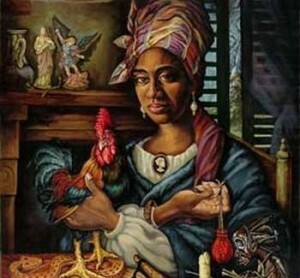 I love Marie Laveau, I have always felt a connection with the Voodoo world, I so want to learn so much more, can you recommend me a great book!